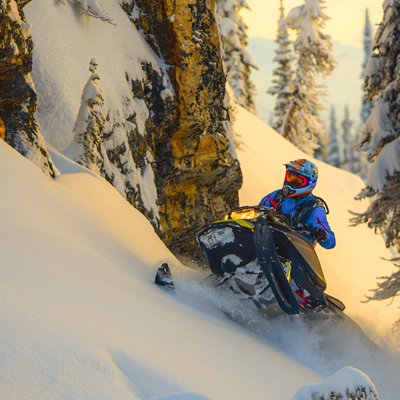 Brian Farkus watches Allen Brigden doing some doughnuts on his sled while riding on a bluebird day at Pukeashun Provincial Park in the Shuswap area of B.C. 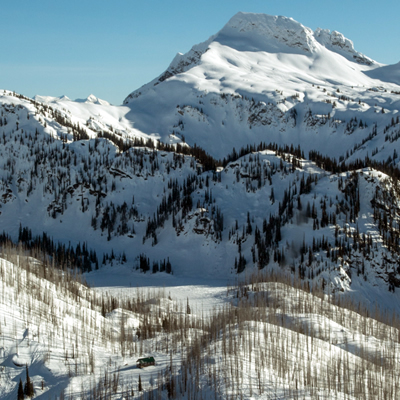 Hard against the Rocky, Monashee and Cariboo mountain ranges is the village of Valemount and one of B.C.’s richest mines for white gold. 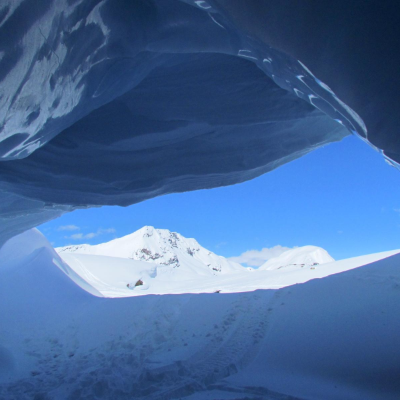 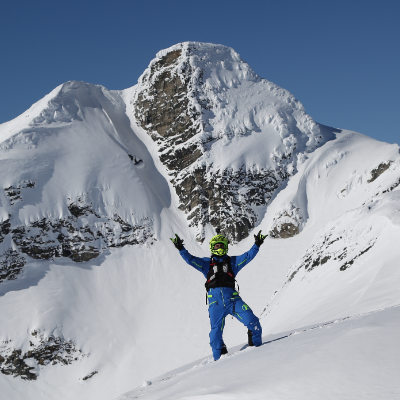 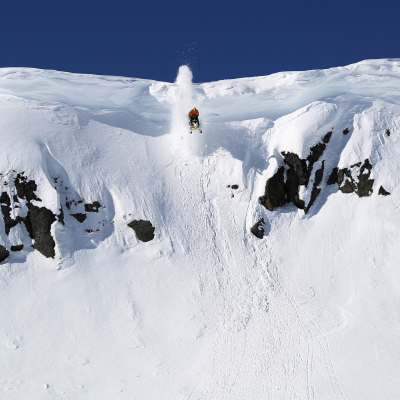 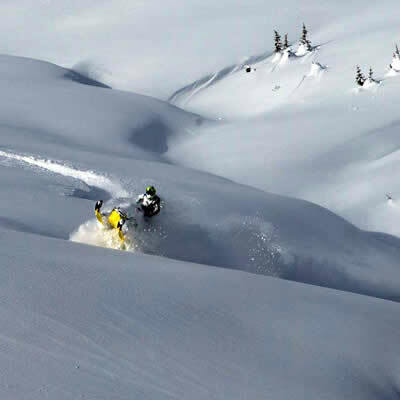 Backcountry enthusiasts need to explore Blue River, B.C. 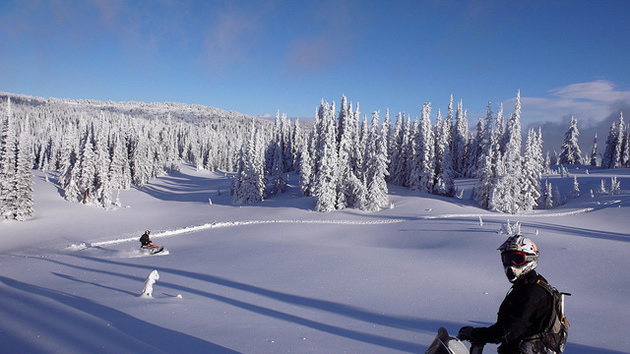 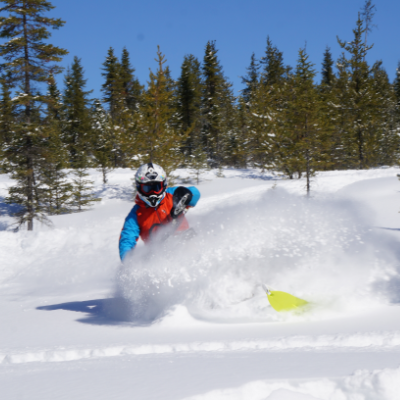 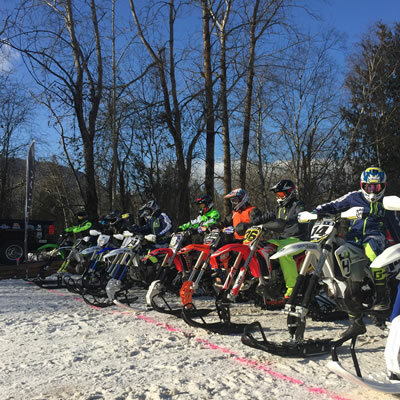 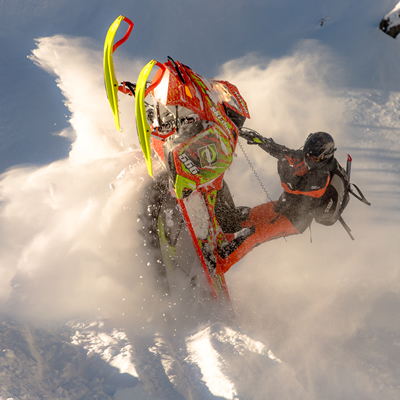 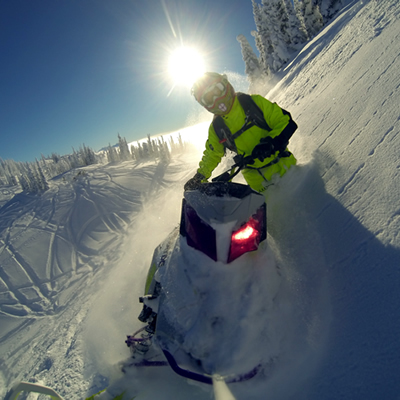 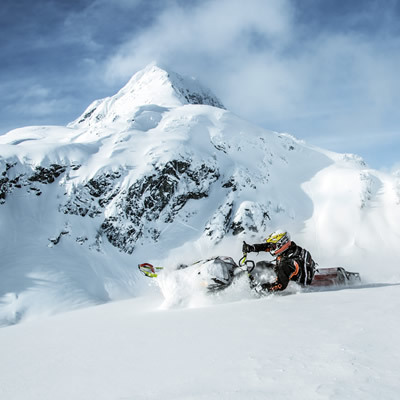 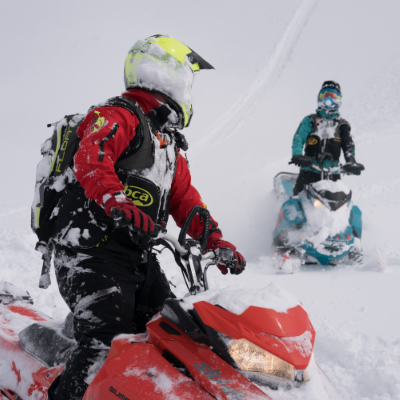 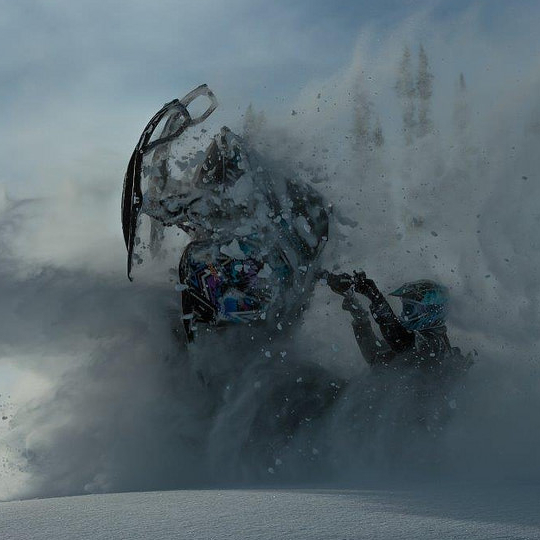 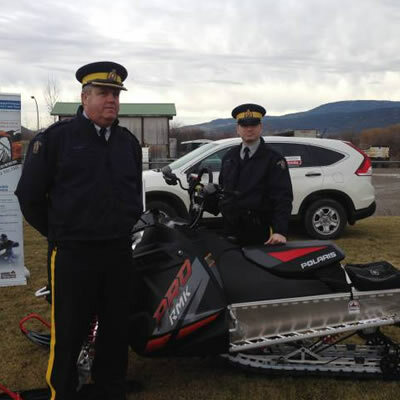 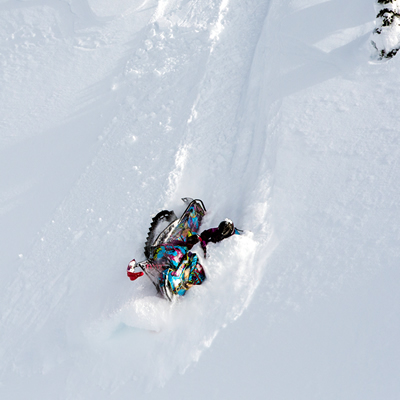 Snowmobilers delight in the amazing sledding opportunities in the Thompson Okanagan British Columbia's Thompson Okanagan region features some real snowmobiling hot spots, like Valemount, Kamloops, Kelowna, Sicamous and the Shuswap. 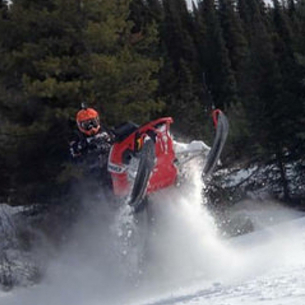 Friendly residents and passionate sledders make this region a popular choice for snowmobilers of all ages and skill levels. 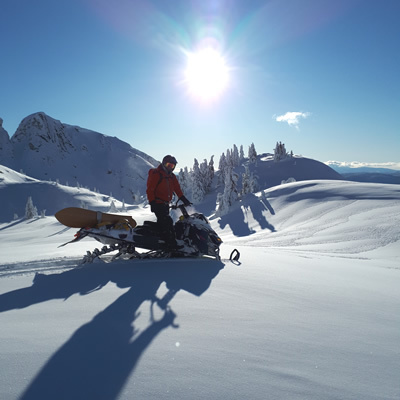 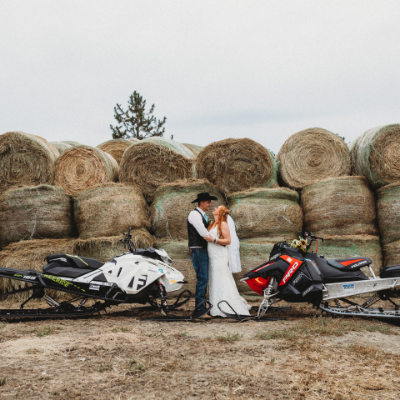 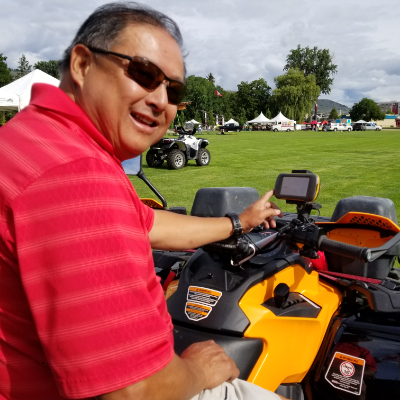 Scroll down on our Thompson Okanagan landing page for information on sled dealerships, destinations, snowmobiling trails, snowmobile-friendly accommodations, local snowmobiling clubs and more.